Does Vitamin D Help Treat Acne? There is little direct research regarding the treatment of acne with vitamin D. There is, however, much evidence that vitamin D is crucial to skin health in general, and there is indirect evidence suggesting that it might play a role in treating acne. Vitamin D serves several functions in keeping skin healthy, including killing harmful bacteria, reducing inflammation, helping to heal wounds, and contributing to the development of new, healthy cells. All of these might help with acne in some way. Ensuring Your Levels are Adequate: We get vitamin D through sun exposure. If you are light skinned, you need approximately 20 minutes of unprotected exposure per day to get the vitamin D you need. Darker skin requires more, with people who have the darkest skin requiring upwards of 2 hours per day. If you are not getting regular sun exposure, ask your doctor for a simple vitamin D blood test and if your levels are low, you may want to supplement. 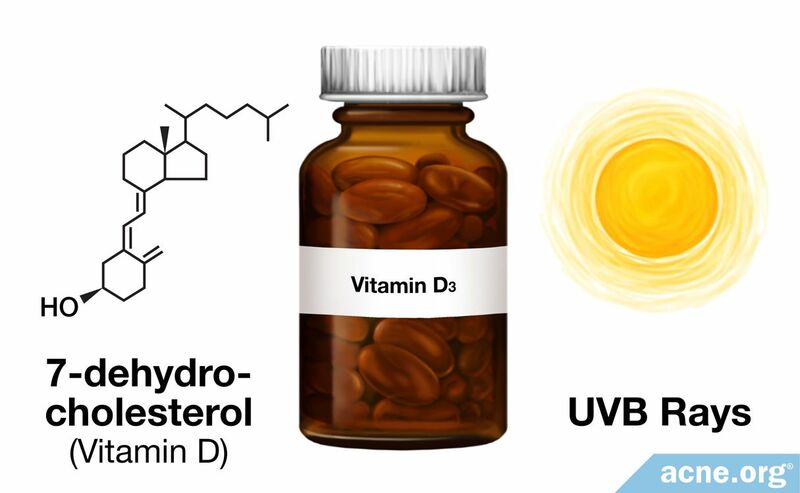 While scientists have yet to look directly at the impact of vitamin D on acne, there is considerable evidence that vitamin D is essential to overall skin health, and there is indirect evidence indicating that it might play a role in the treatment of acne, so it makes sense to ensure that your vitamin D levels are where they need to be. Killing harmful bacteria that contribute to acne and other skin diseases, such as psoriasis. Acne is in part a bacterial disease, and killing bacteria can reduce the redness, pain, and swelling in acne lesions. Decreasing inflammatory responses in certain immune cells and in skin oil cells. Acne is at its core an inflammatory disease, so less inflammatory responses could mean less acne. Helping the immune system heal wounds. Medically speaking, acne lesions are small wounds. Regulating the growth and development of various types of skin cells, including skin oil cells. Acne develops in part because of an overgrowth of skin cells that clog skin pores, as well as overproduction of skin oil from overly active skin oil cells. 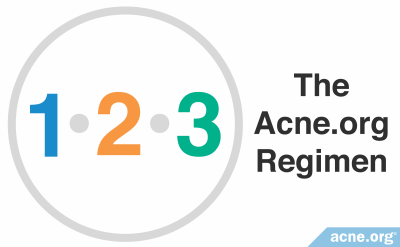 Regulating these cells could calm acne symptoms. Let's have a look at each of these effects now 1 by 1 and see how an argument can be made that vitamin D may be important when it comes to acne. 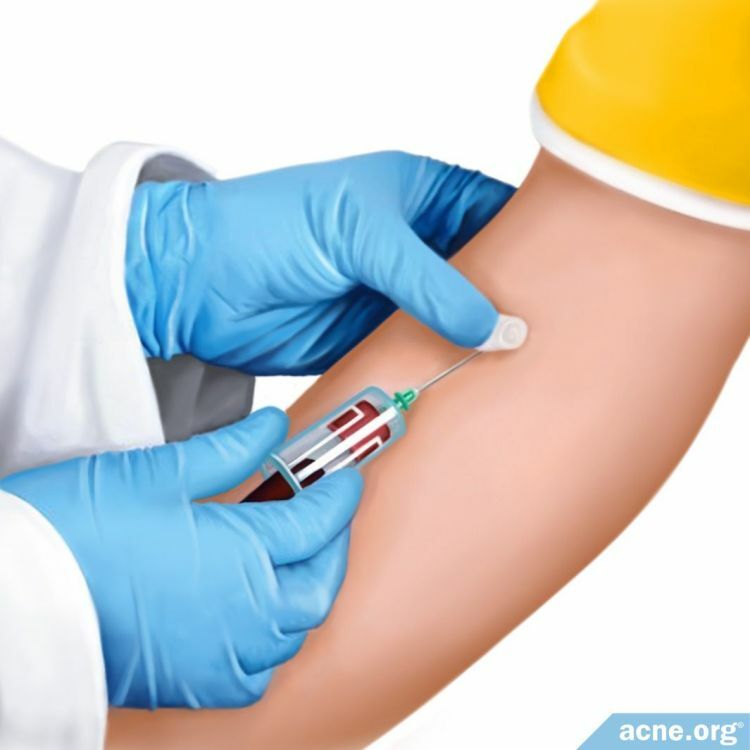 Even though this article didn't look directly at the effects of vitamin D on acne bacteria (P. acnes), the fact that vitamin D has antimicrobial effects on a variety of different bacteria, and on other skin diseases, points to the possibility that it might have similar effects on P. acnes, which could lead to less severe acne. As scientists have researched acne over the decades, it has become clear that at its root, acne is an inflammatory disease. Vitamin D also has anti-inflammatory properties, which have already been proven to help treat inflammatory skin conditions, such as psoriasis and atopic dermatitis. The fact that vitamin D is beneficial in other inflammatory skin conditions suggests that it might be helpful in treating acne as well. Since vitamin D plays a crucial role in healing wounds, it is reasonable to infer that vitamin D might help to heal acne lesions in the same way that it helps to heal other types of wounds. 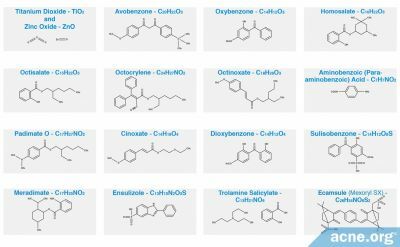 Isotretinoin, often referred to by its original brand name, Accutane, is a common treatment for severe acne. In a 2011 study in Dermatologic Therapy, researchers investigated the effect of isotretinoin treatment on vitamin D levels. This study, which looked at 50 acne patients who were treated with isotretinoin for three months, found that "vitamin D…levels decreased significantly. "11 This result suggests that people taking isotretinoin might be wise to take a vitamin D supplement in order to prevent vitamin D deficiency. You can ask your doctor for a routine and simple blood test to determine if you have adequate vitamin D levels. This is especially important if you are at risk for vitamin D deficiency due to lack of sun exposure or other disorders that interfere with vitamin D absorption. If your vitamin D levels are low, taking an oral supplement might be a good idea. Check with your doctor to determine an appropriate dosage for you, but 800 - 1000 IU (international units) per day of vitamin D is a common guideline. 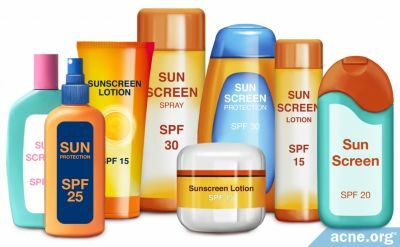 Reichrath, J. Vitamin D and the skin: an ancient friend, revisited. Exp Dermatol 16, 618 - 625 (2007). Norval, M. The mechanisms and consequences of ultraviolet-induced immunosuppression. Prog Biophys Mol Biol 92, 108 - 118 (2006). Youssef, D. A. et al. Antimicrobial implications of vitamin D. Dermatoendocrinol 3, 220 - 229 (2011). Lee, W. J., Choi, Y. H., Sohn, M. Y., Lee, S. J. & Kim, D. W. Expression of Inflammatory Biomarkers from Cultured Sebocytes was Influenced by Treatment with Vitamin D. Indian J Dermatol 58, 327 (2013). Agak, G. W. et al. Propionibacterium acnes Induces an IL-17 Response in Acne Vulgaris that Is Regulated by Vitamin A and Vitamin D. J Invest Dermatol 134, 366 - 373 (2014). Oda, Y., Tu, C. L., Menendez, A., Nguyen, T. & Bikle, D. D. Vitamin D and calcium regulation of epidermal wound healing. J Steroid Biochem Mol Biol 164, 379 - 385 (2016). Xie, Z. et al. 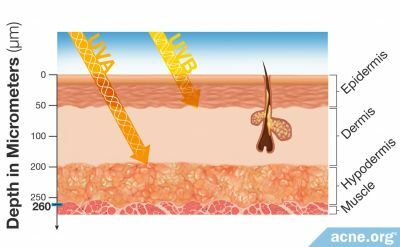 Lack of the vitamin D receptor is associated with reduced epidermal differentiation and hair follicle growth. J Invest Dermatol 118, 11 - 16 (2002). Oda, Y. et al. Vitamin D receptor and coactivators SRC2 and 3 regulate epidermis-specific sphingolipid production and permeability barrier formation. J Invest Dermatol 129, 1367 - 1378 (2009). Yildizgoren, M. T. & Togral, A. K. Preliminary evidence for vitamin D deficiency in nodulocystic acne. Dermatoendocrinol 6, e983687 (2014). Kramer, C. et al. Characterization of the vitamin D endocrine system in human sebocytes in vitro. J Steroid Biochem Mol Biol 113, 9 - 16 (2009). Ertugrul, D. T., Karadag, A. S., Tutal, E. & Akin, K. O. Therapeutic hotline. Does isotretinoin have effect on vitamin D physiology and bone metabolism in acne patients? Dermatol Ther 24, 291 - 295 (2011). What's the Difference Between UVA and UVB Rays?